"When Loki and Thor traveled to Utgard, the citadel of the giants, they were told by the giant king that no one could stay in the citadel without proving themselves superior at a skill or craft. Loki was the first to demonstrate his skill, saying that he could eat faster than anyone in the hall. He started at one end of the table and his challenger, the giant Logi, started at the other, eating towards the center. Loki ate everything, leaving only the bones behind. But Logi ate the bones and even the wooden trencher! In the morning, the giant king revealed that he had tricked them. Logi, he told them, was fire itself and no one could consume faster than fire. Utgard vanished, along with the giants, and Thor and Loki returned home." That is an extremely abridged version of one of my favorite Norse myths, where Thor and Loki go to fight some giants and end up humiliated by a clever king and some magic. The cable on this scarf was inspired by the interlocking designs on Viking armor and jewelry which is surrounded by double moss stitch borders. The cable starts and ends in a pair of points, like the tips of a flame. 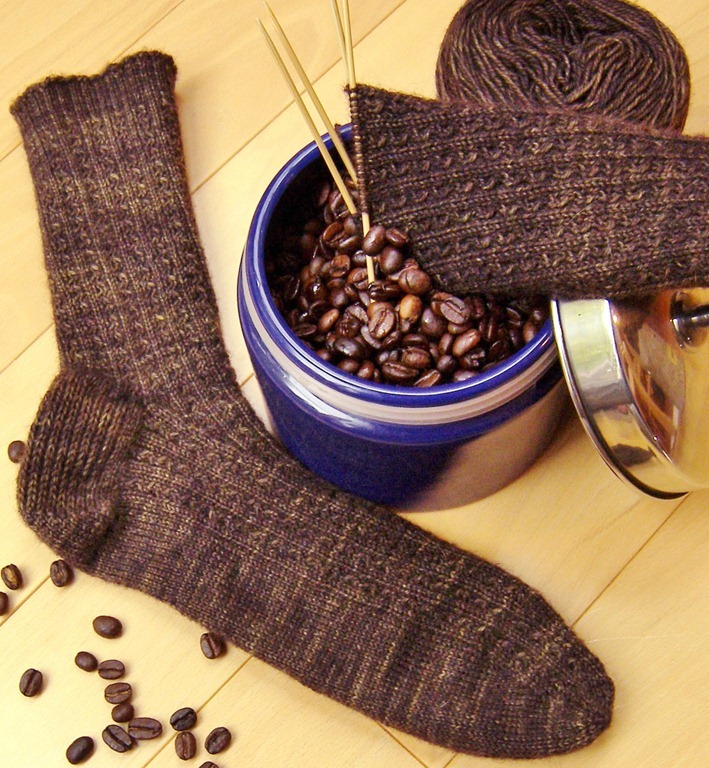 To do this, fewer stitches are cast on and then increases are worked to make the points. This scarf was designed for my brother-in-law, and if you’d ever seen him and my husband eat a pile of barbeque, you’ll know the other reason this scarf is named Logi. 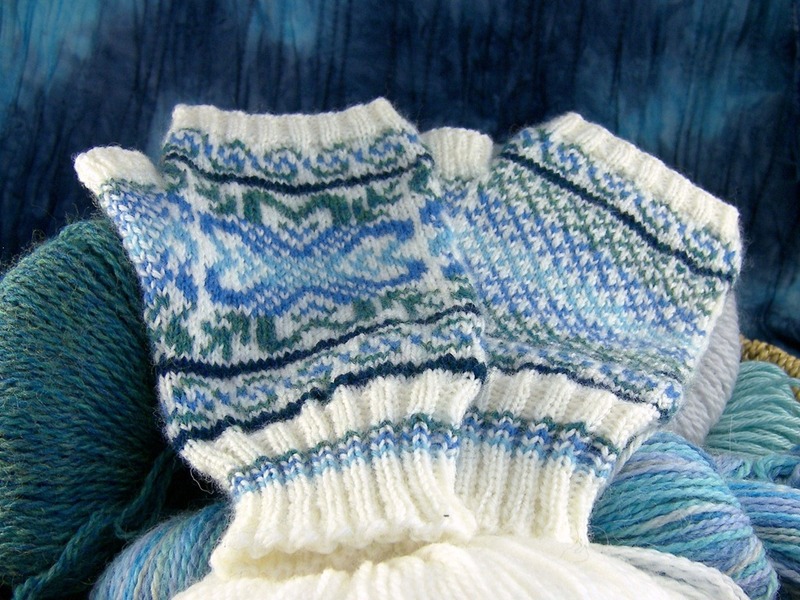 This is a great pattern to knit for guys, especially when you tell them that the cable is Viking-related! 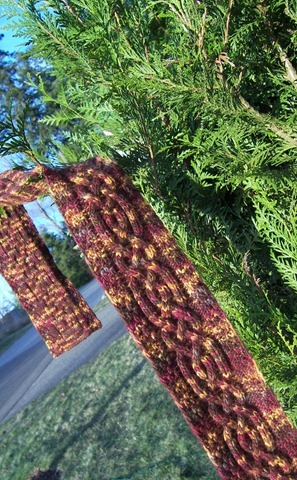 Using one skein (200 or so yards) of Malabrigo will produce a short but still respectable length scarf. 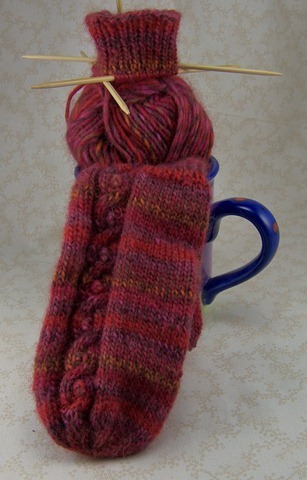 In order to make the scarf wider and/or longer, add a second skein. To easily make this scarf wider, add pairs of stitches to each edge and work them in double moss stitch. 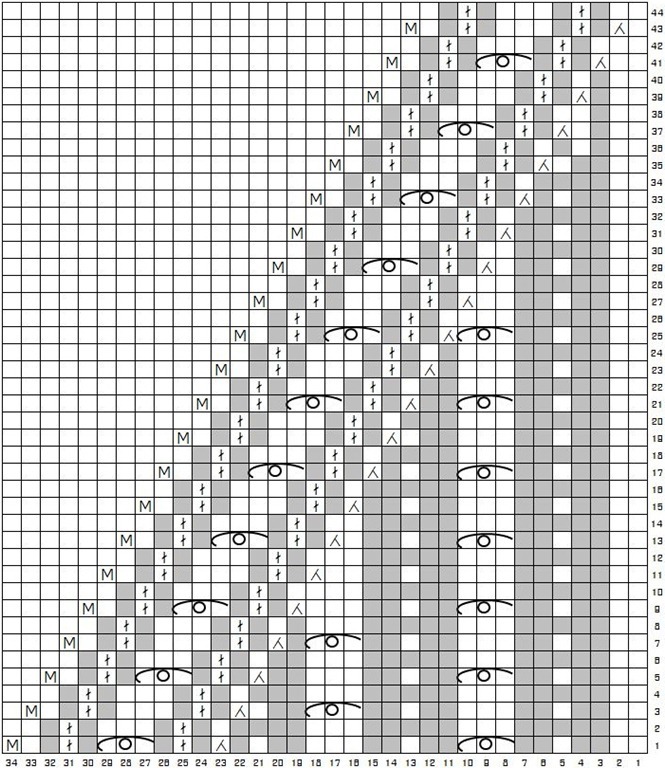 For example, the first row for a wider scarf might read "Sl 1, *p1, k1* twice x3 , p12, *k1, p1* twice x3, k1, turn." 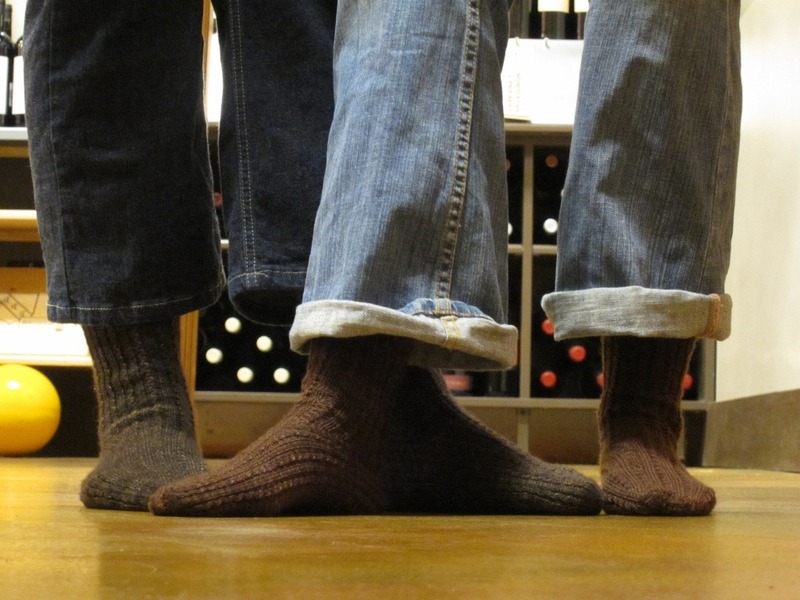 This adds two stitches to each the right and left side. 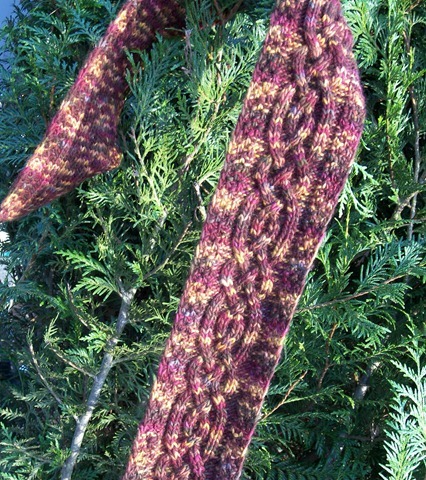 The scarf will have a tendency to flip inwards around the cable as it’s worked. This is because of the two columns of purl stitches on either side of the cable. 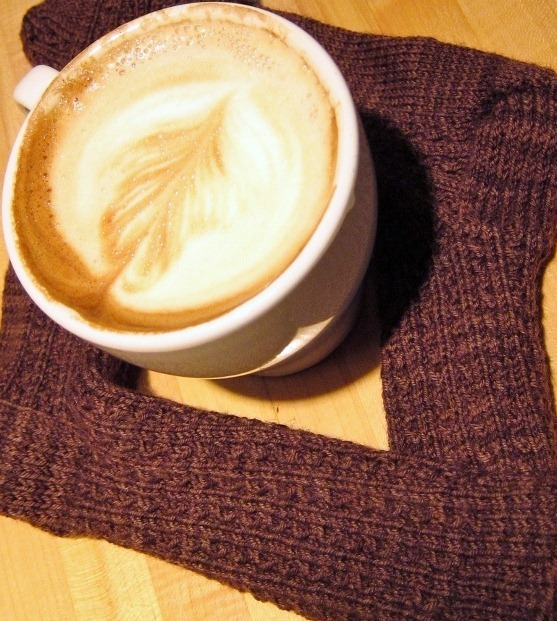 When the scarf is finished, steam block the scarf aggressively to relax the fibers and minimize the flipping. Wet blocking will work but steam blocking is more effective for combating the flip. 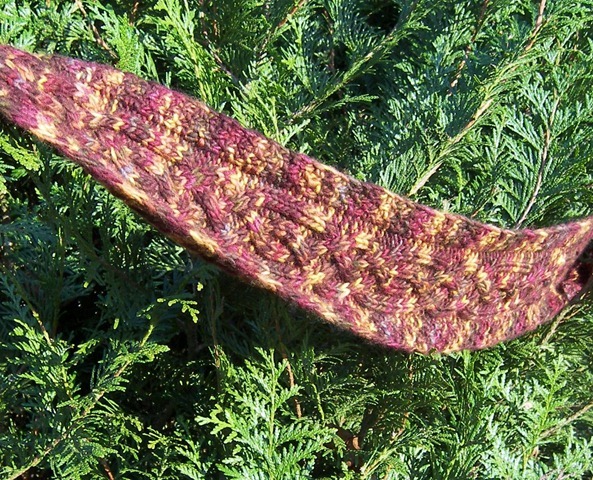 Learn more about steam blocking versus wet blocking at TechKnitting, Knitty, and KnitSimple. Edit 2/23/10: Renamed the increases so that the names in the instructions and the names in the key match. 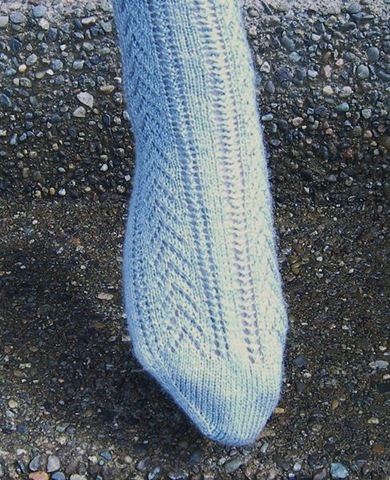 LRinc: Insert right needle into the right leg of the knit stitch or the top of the purl stitch below the next stitch. Knit this new stitch. LLinc: Insert left needle into the left leg of the knit stitch or the top of the purl stitch two rows below the stitch just worked. Knit this new stitch. SSK: Slip next 2 sts purlwise. 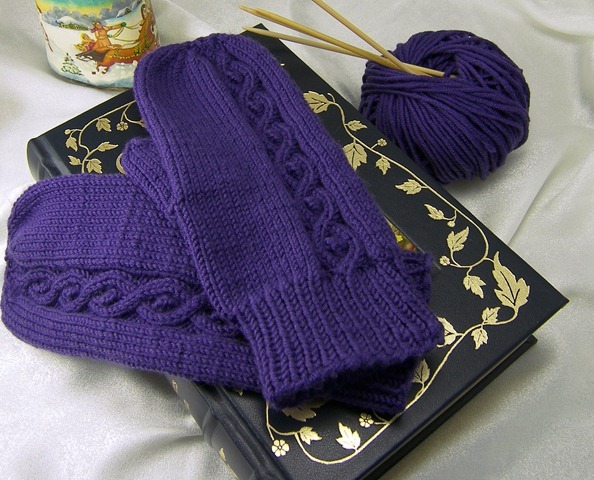 Insert left needle into the front loops of the slipped stitches and knit them together. 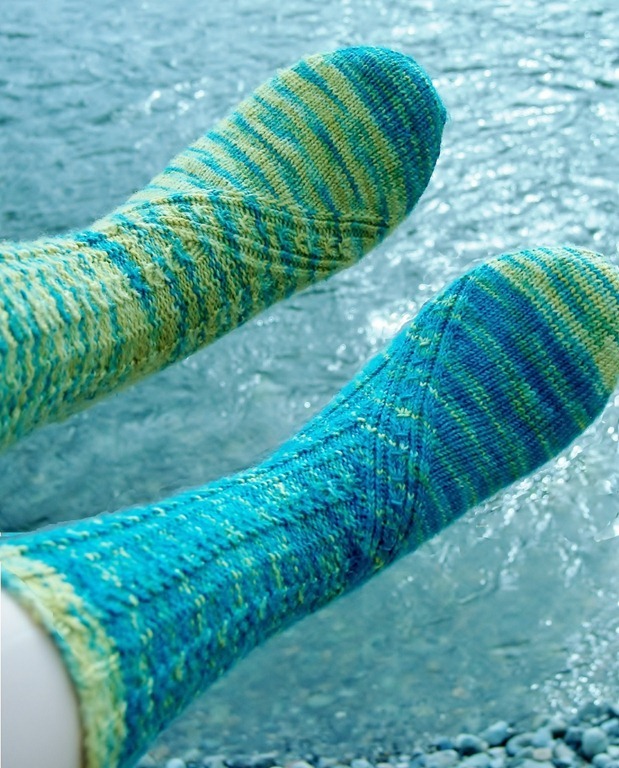 SSP: Slip next 2 sts knitwise. Return sts to left needle and p2tog through the back loops. C4F: Slip next 2 sts to cable needle and hold to the front. K2 from left needle, then k2 from cable needle. C4B: Slip next 2 sts to cable needle and hold to the back. K2 from left needle, then k2 from cable needle. T4F: Slip next 2 sts to cable needle and hold to the front. P2 from left needle, then k2 from cable needle. T4B: Slip next 2 sts to cable needle and hold to the back. K2 from left needle, then p2 from cable needle. 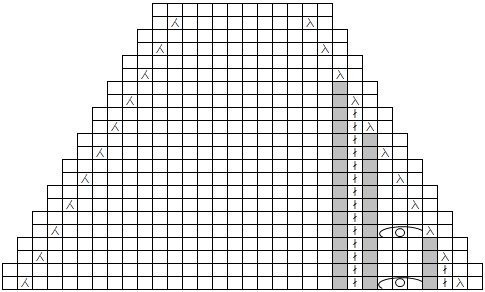 Row 1 (RS): Sl 1, *p1, k1* twice, p12, *k1, p1* twice, k1, turn. Row 2 (WS): Sl 1, work stitches as presented (knit the knits and purl the purls,) turn. Row 3 (RS): Sl 1, *k1, p1* twice, p12, *p1, k1* twice, p1, turn. Row 4 (WS): Sl 1, work stitches as presented (knit the knits and purl the purls,) turn. 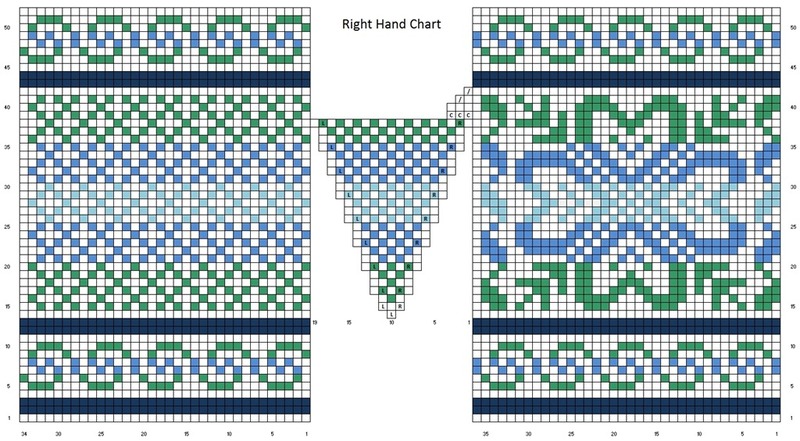 Work Chart B until scarf is 2.5 inches less than desired length, ending on Row 16. 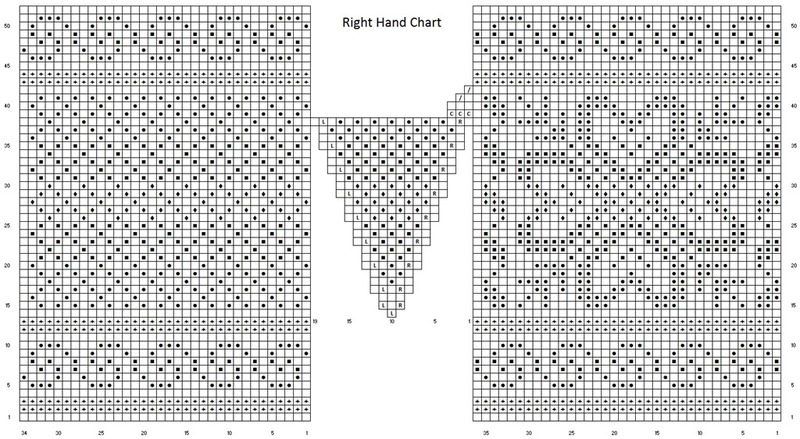 On WS rows, work stitches as presented or read the chart from left to right. Row 1 (RS): Sl 1, *k1, p1* twice, p12, *p1, k1* twice, p1, turn. Row 3 (RS): Sl 1, *p1, k1* twice, p12, *k1, p1* twice, k1, turn. Row 4 (WS): Bind off all sts knitwise. Finishing: Weave in ends. Steam block to relax the fiber’s tendency to flip inwards at the edge of the cable. Steam blocking will lessen the flip more than wet blocking. 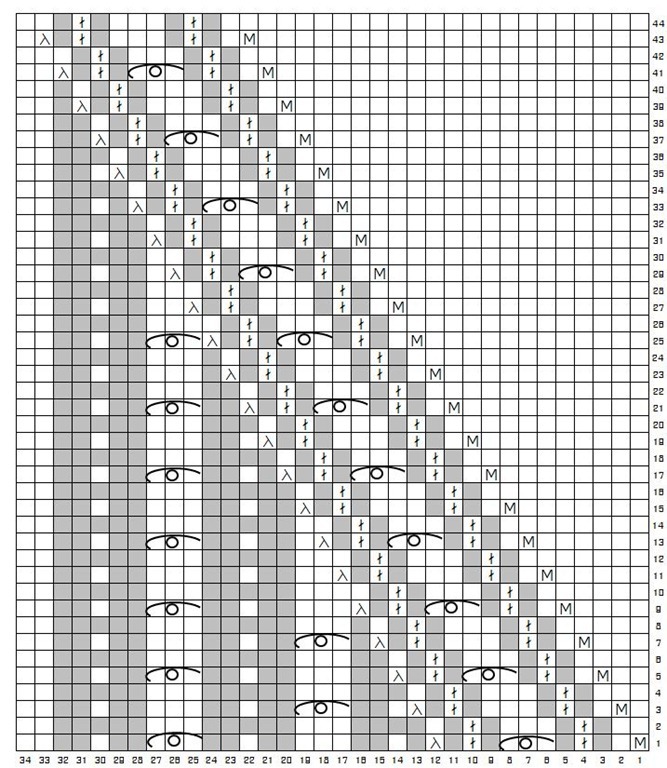 Click on charts for bigger image, or download the PDF above. 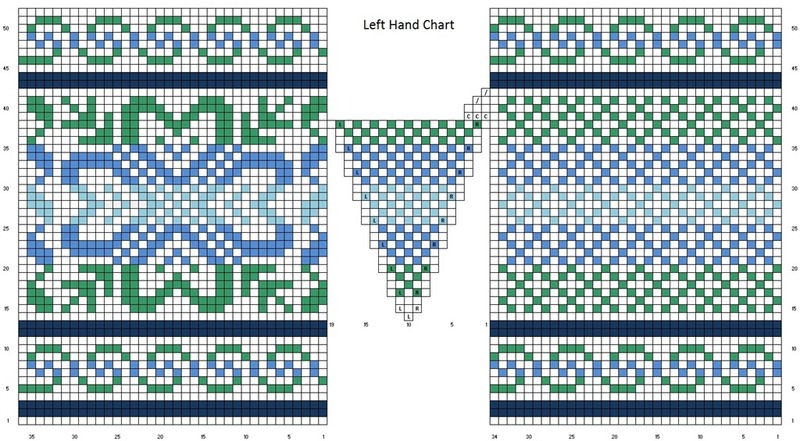 Please Note: I post my patterns as soon as I’ve completed them because I’m excited to share them with you. They have not been fully tested, but they are free. I’ve made every effort to make sure that the instructions are clear and error-free. There may be typos or pattern mistakes and if you find them or have any questions, please let me know by posting a comment or emailing me, dailyskein@gmail.com. 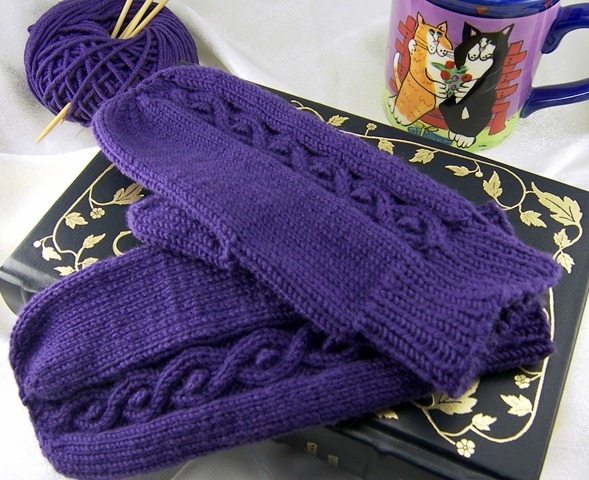 Simple, cute mittens are always in style. Add a funny name and how can you lose? The name is a combination of “cable: and “bobble” inspired by the off-center cable which features small, easy bobbles for interest. 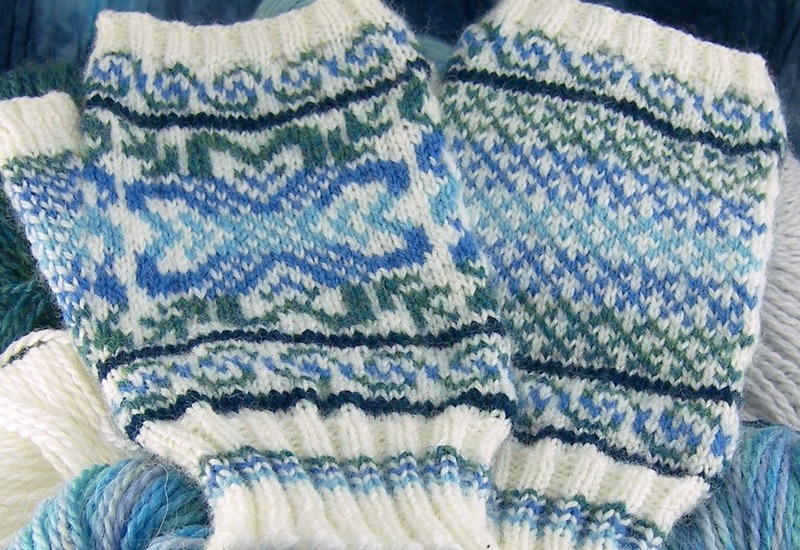 The afterthought thumb is simple to knit and the shaping at the top of the mitten makes a very flat top. 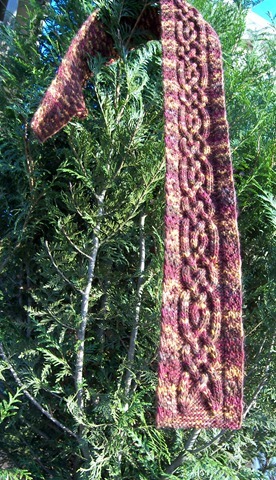 This is a great project for some luxury or handspun yarn. The purple mittens shown were snatched up by my sister last year. 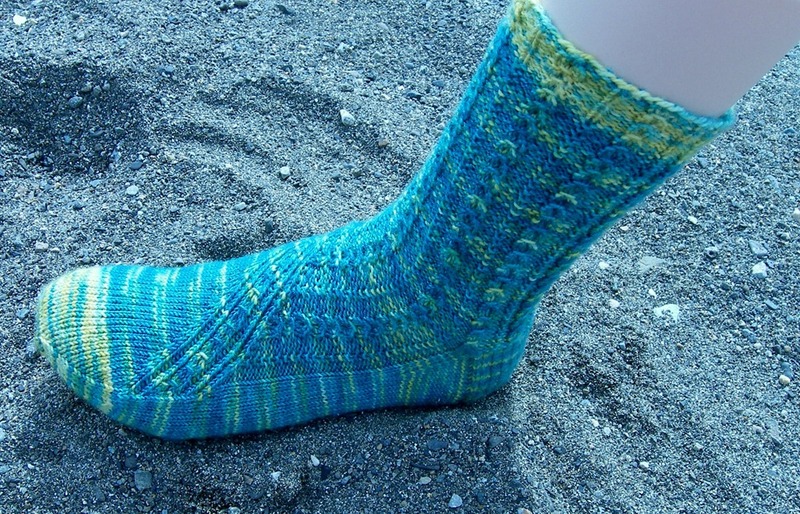 I really enjoyed working with this yarn; it was my first Debbie Bliss yarn if you can believe it. 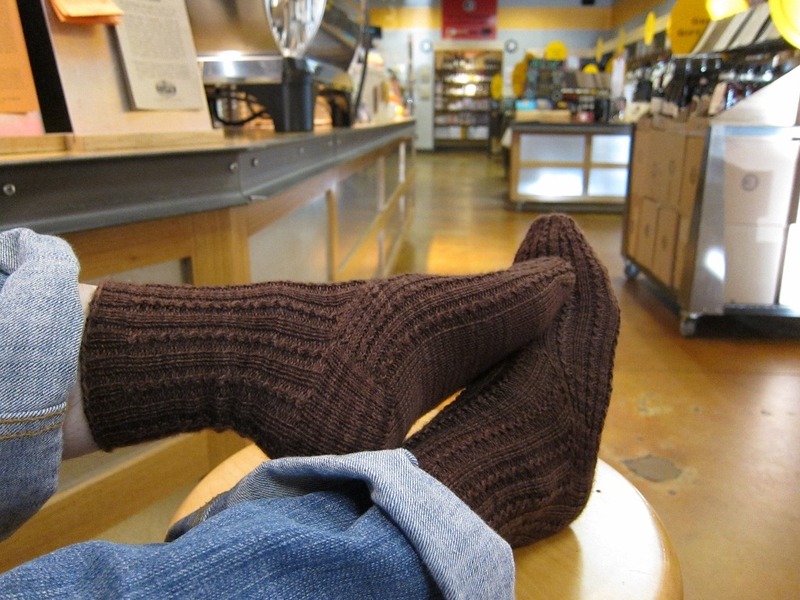 The second pair is being knit in Twilley’s Freedom Spirit in Fire. 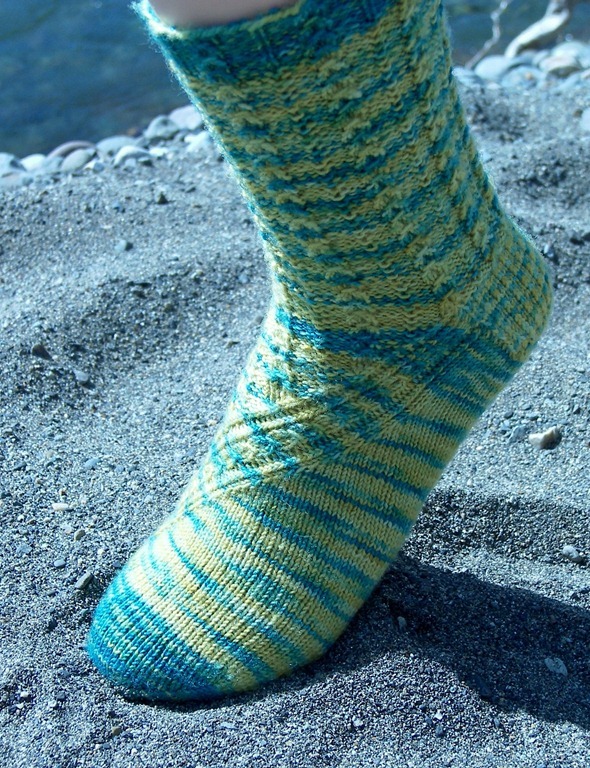 I love the subtle self-striping and the way it highlights the cables and bobbles. T5R: Slip next 3 sts onto cable needle and hold at back of work, k2, then k3 from cable needle. T5L: Slip next 2 sts onto cable needle and hold at front of work, k3, then k2 from cable needle. C3B: Slip next st onto cable needle and hold at back of work, k2, then p1 from cable needle. C3F: Slip next 2 sts onto cable needle and hold at front of work, p1, then k2 from cable needle. MB (make bobble): Knit into the front and back of the next stitch twice, turn and p4, turn, sl 1, k3tog, psso. Bobble completed. CO 48 sts. Join in the round, being careful not to twist. Round 1: *K1, p1* repeat from * to * to the end of the round. Repeat Round 1 until cuff measures 2” long. Round 1: K1, p3, T5R, p3, knit to the end of the round. Round 2: K1, p3, k2, p1, k2, p3, knit to the end of the round. Round 3: K1, p2, C3B, p1, C3F, p2, knit to the end of the round. Round 4: K1, p2, k2, p3, k2, p2, knit to the end of the round. Round 5: K1, p1, C3B, p1, MB, p1, C3F, p1, knit to the end of the round. Round 6: K1, p1, k2, p5, k2, p1, knit to the end of the round. Round 7: K1, p1, C3F, p3, C3B, p1, knit to the end of the round. Round 8: K1, p2, k2, p3, k2, p2, knit to the end of the round. Round 9: K1, p2, C3F, p1, C3B, p2, knit to the end of the round. Round 10: K1, p3, k2, p1, k2, p3, knit to the end of the round. 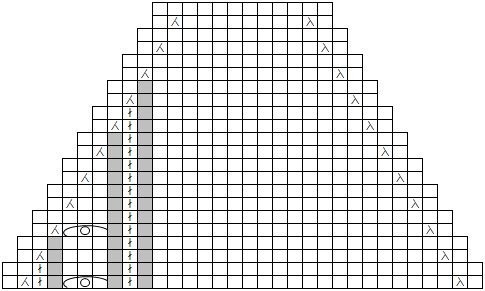 Next round (counts as round 9): K1, p2, C3F, p1, C3B, p2, k14; using waste yarn, k8, slip these sts back to left needle and knit again with working yarn; knit to the end of the round. Starting with Round 10, continue Cable Rounds 1-10 4 more times, ending after Round 1. Round 2 and 4: Knit even. Cut yarn, leaving a 6” tail. Thread yarn through remaining sts and pull tight. Weave in ends. Round 1: K14, p3, T5L, p3, knit to the end of the round. Round 2: K14, p3, k2, p1, k2, p3, knit to the end of the round. Round 3: K14, p2, C3B, p1, C3F, p2, knit to the end of the round. Round 4: K14, p2, k2, p3, k2, p2, knit to the end of the round. Round 5: K14, p1, C3B, p1, MB, p1, C3F, p1, knit to the end of the round. Round 6: K14, p1, k2, p5, k2, p1, knit to the end of the round. Round 7: K14, p1, C3F, p3, C3B, p1, knit to the end of the round. Round 8: K14, p2, k2, p3, k2, p2, knit to the end of the round. Round 9: K14, p2, C3F, p1, C3B, p2, knit to the end of the round. Round 10: K14, p3, k2, p1, k2, p3, knit to the end of the round. 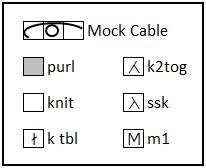 Next round (counts as round 9): K14, p2, C3F, p1, C3B, p2, k19; using waste yarn, k8, slip these sts back to left needle and knit again with working yarn. 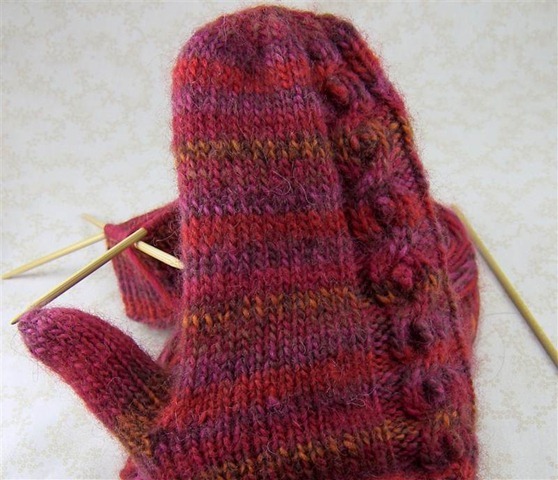 Knit even until thumb measures 2” or ¼” shorter than desired length. 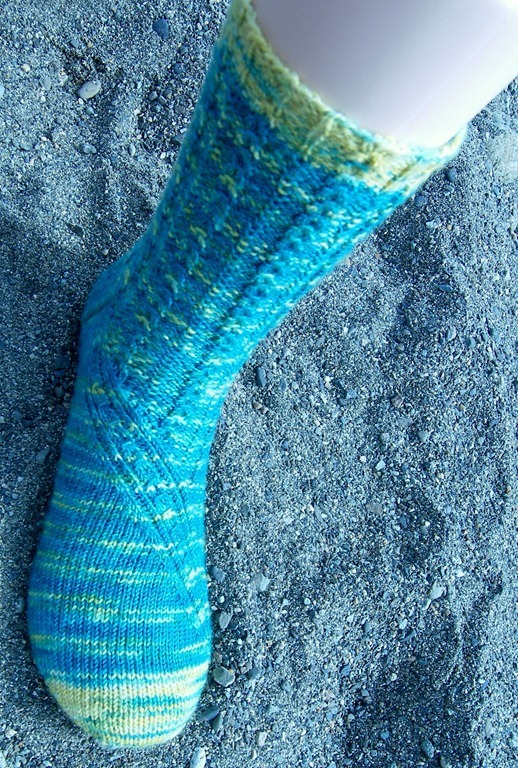 I finally got a sunny day to take pictures of the lace socks that I had been working on. Actually, the day was a little too sunny; many of the pictures came out over-exposed. 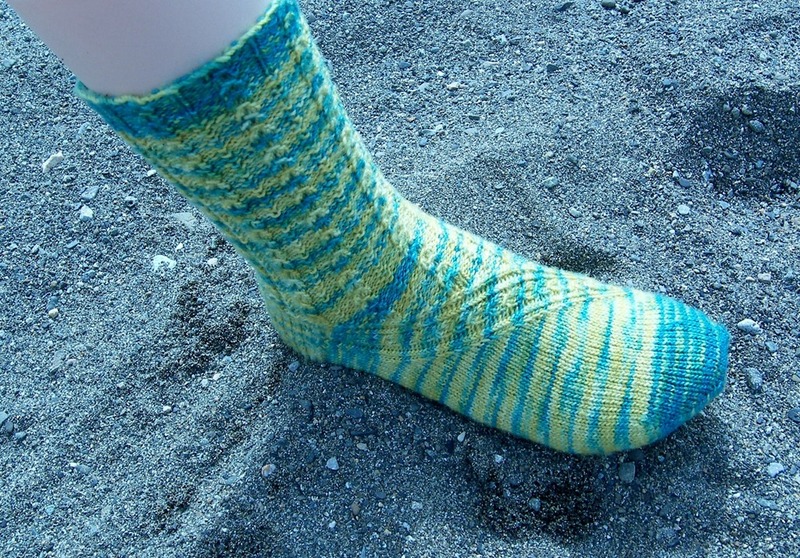 The light color of the yarn and the slight shine to it really confused the camera! But, I think these turned out pretty well, all things considered. Really, I’m just glad to have the pattern completely finished- the written part had been sitting there completed for a week just waiting for the pictures. 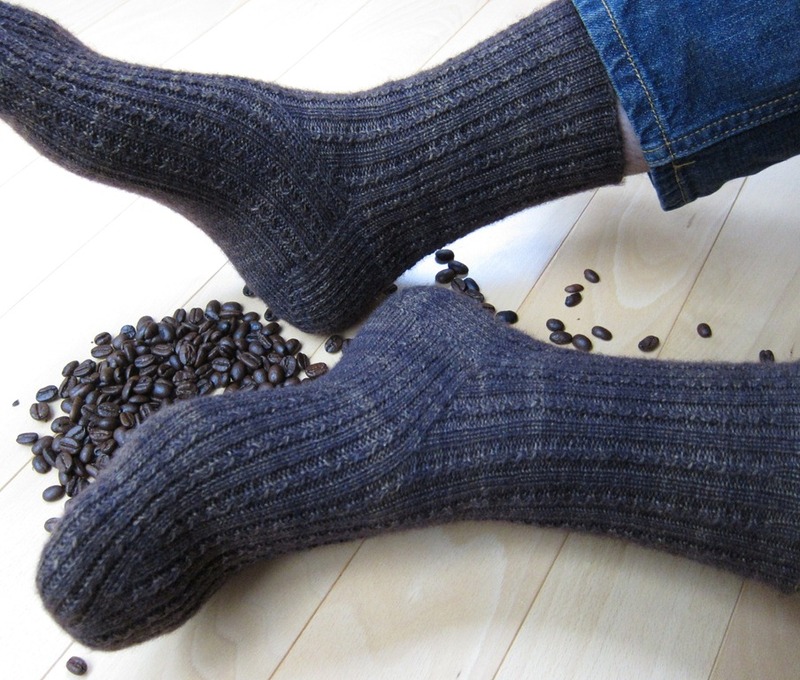 These socks were actually inspired by a commercial for rheumatoid arthritis medication, if you can believe it. 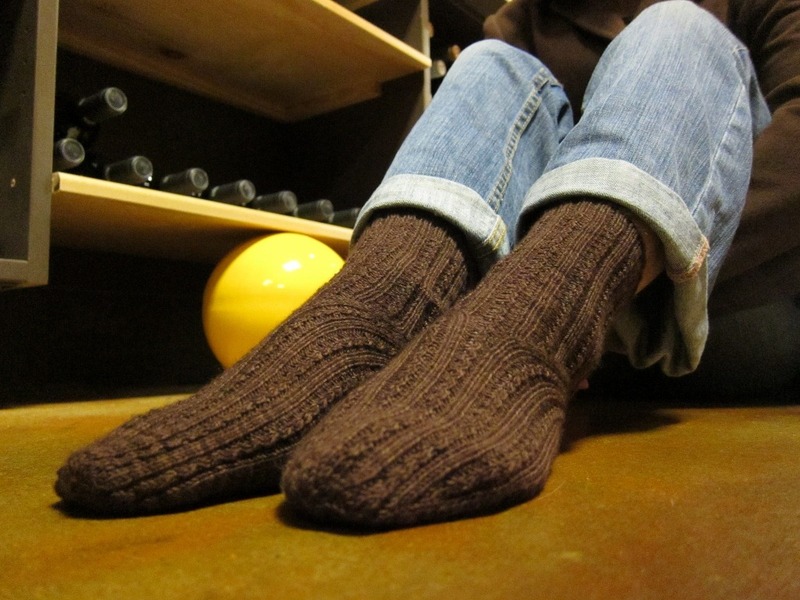 There was a pair of socks in that commercial that were too pretty not to translate into hand knitting. 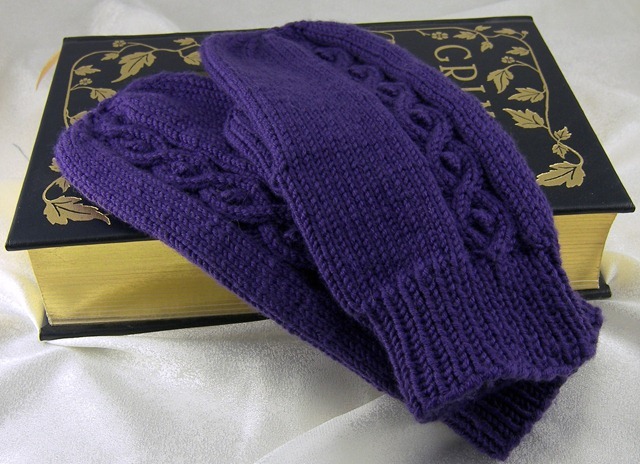 They feature a lace front with a stockinette back, which makes the knitting go quickly. 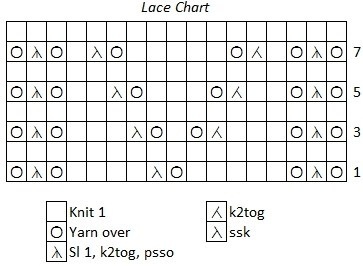 The lace pattern is simpler than it appears and is fairly easy to memorize. 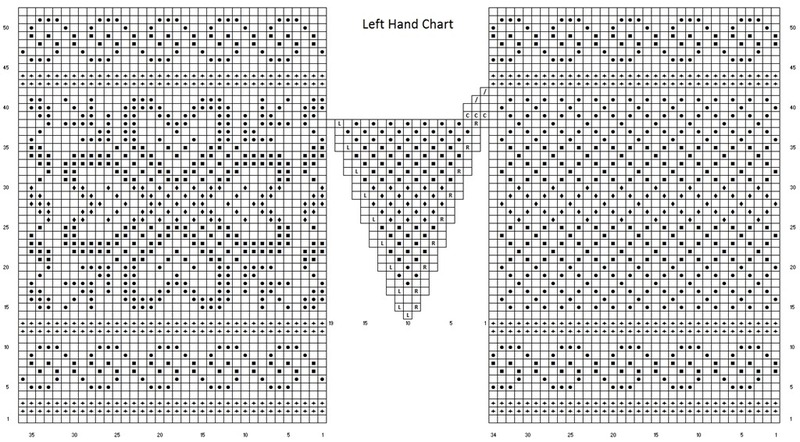 The instructions for the lace are both written and in chart form. 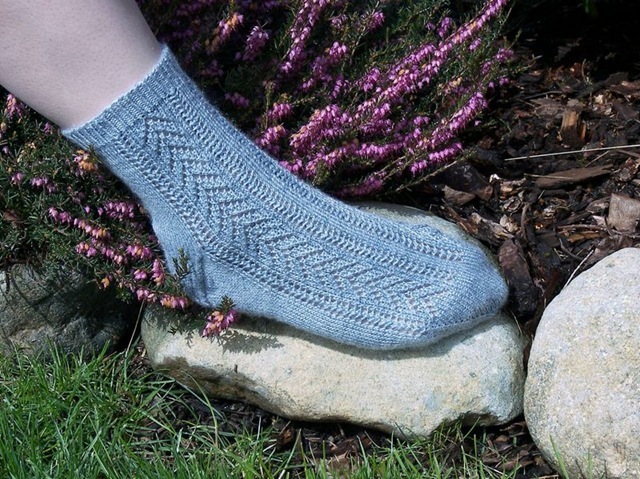 Made from wicking, lightweight bamboo with just enough wool for some elasticity, the Lacy Spring Socks are a great warm-weather sock. 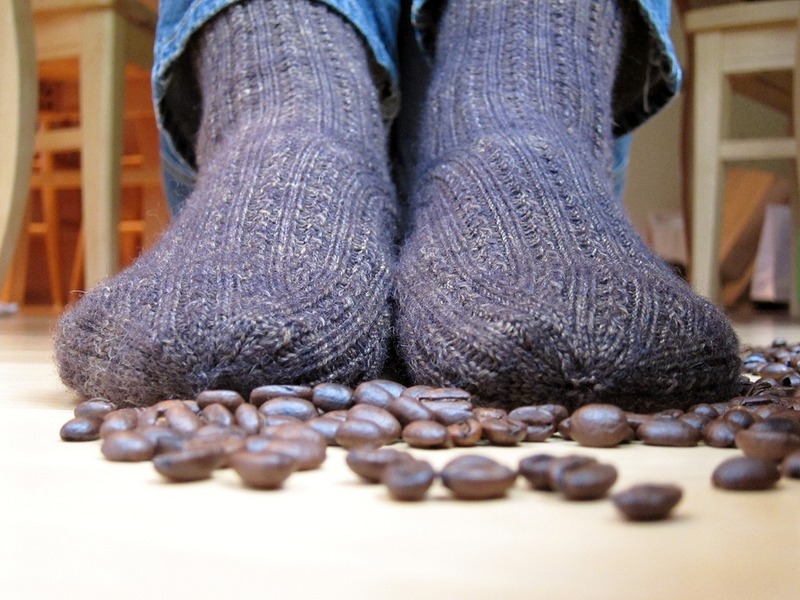 These socks are very stretchy and will stretch to fit a 9” foot circumference. 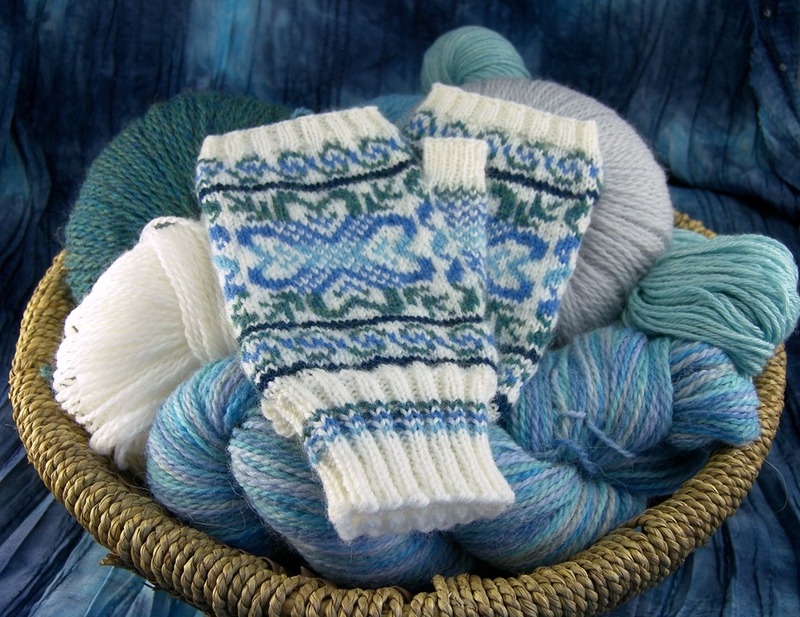 If the gauge swatch or cuff is too large, try using a yarn with more wool content for a snugger fit. 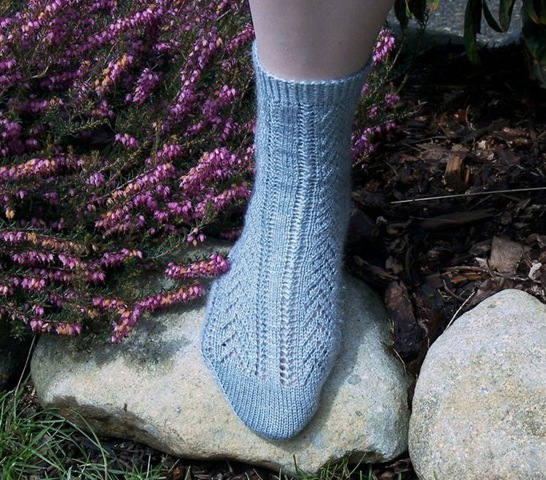 The construction of these socks is a very traditional top-down construction, making them an easy sock for beginners or anyone who wants a simple project to work on at picnics or in the car. 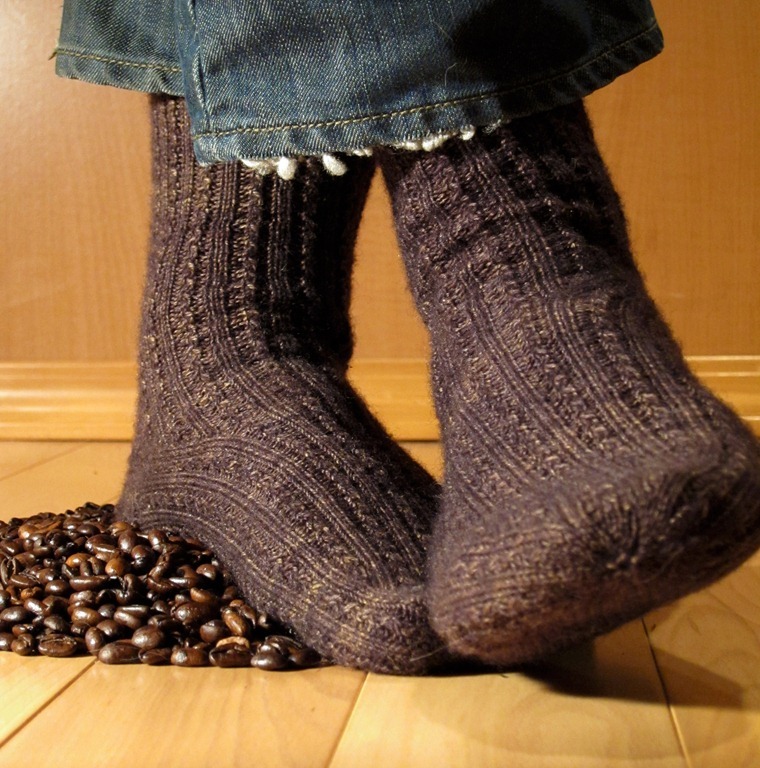 For a quicker project, these socks would make cute anklets! CO 76 sts and divide evenly among 4 needles. Join in the round, being careful not to twist. Place marker to mark the beginning of the round. Ribbing: *k1tbl, p1* to the end of the round. Work Ribbing for approximately 1 inch. Round 1: [YO, sl 1, k2tog, psso, YO, k5, YO, ssk, k4, YO, sl 1, k2tog, psso, YO,] k4, [YO, sl 1, k2tog, psso, YO, k5, YO, ssk, k4, YO, sl 1, k2tog, psso, YO,] knit to the end of the round. Round 2, 4, 6, 8: Knit. Round 3: [YO, sl 1, k2tog, psso, YO, k3, k2tog, YO, k1, YO, ssk, k3, YO, sl 1, k2tog, psso, YO,] k4, [YO, sl 1, k2tog, psso, YO, k3, k2tog, YO, k1, YO, ssk, k3, YO, sl 1, k2tog, psso, YO,] knit to the end of the round. Round 5: [YO, sl 1, k2tog, psso, YO, k2, k2tog, YO, k3, YO, ssk, k2, YO, sl 1, k2tog, psso, YO,] k4, [YO, sl 1, k2tog, psso, YO, k2, k2tog, YO, k3, YO, ssk, k2, YO, sl 1, k2tog, psso, YO,] knit to the end of the round. Round 7: [YO, sl 1, k2tog, psso, YO, k1, k2tog, YO, k5, YO, ssk, k1, YO, sl 1, k2tog, psso, YO,] k4, [YO, sl 1, k2tog, psso, YO, k1, k2tog, YO, k5, YO, ssk, k1, YO, sl 1, k2tog, psso, YO,] knit to the end of the round. Repeat Rounds 1-8 until leg is desired length, shown 4 1/4 inches. At the end of any odd round, turn. 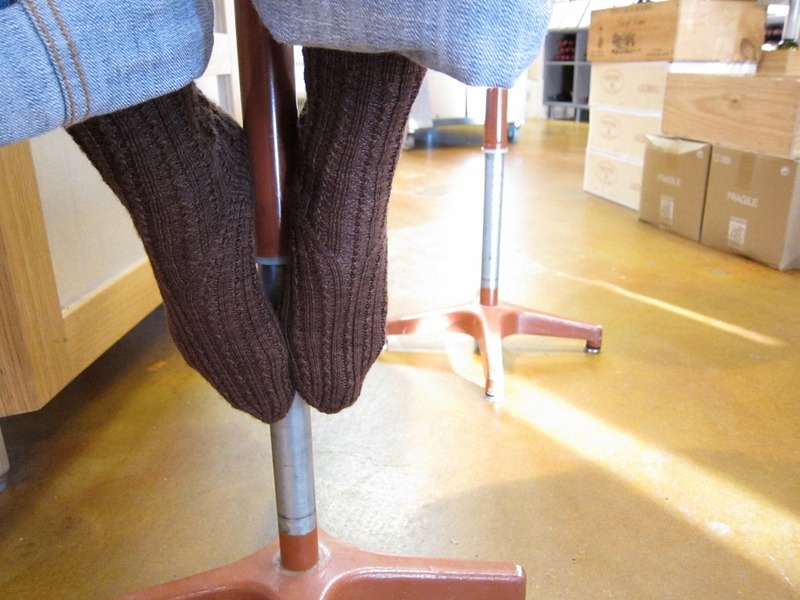 The heel will be worked back and forth over the 38 stockinette stitches on the back of the sock. Move the other 38 stitches to a stitch holder or scrap yarn if desired. 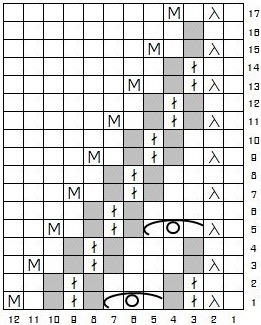 Row 1 (WS): Sl 1, purl 37, turn. 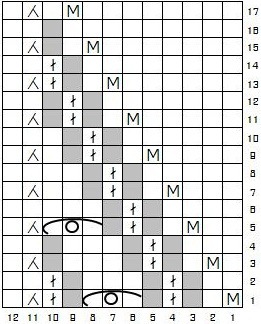 Row 2 (RS): *Sl 1, k1* to the end, turn. 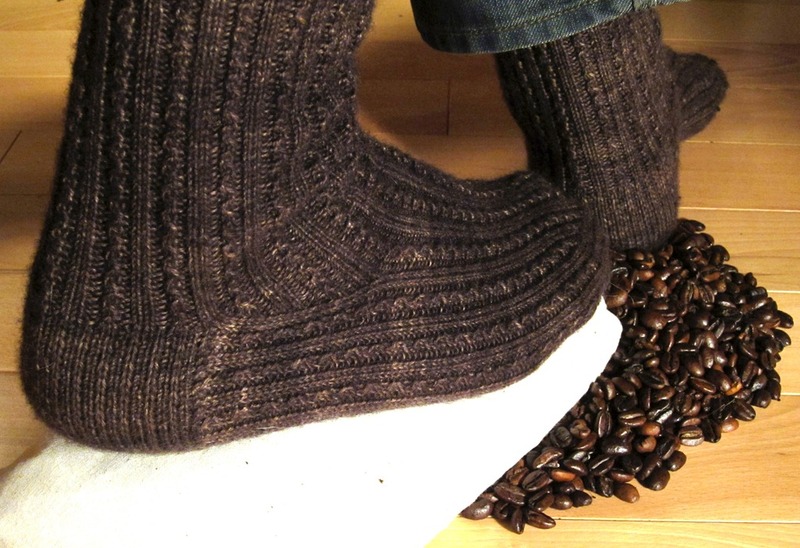 Repeat Rows 1 and 2 until heel flap measures 2 inches, ending on a WS row. Row 1 (RS): Sl 1, k20, ssk, k1, turn. 1 stitch decreased. Row 2 (WS): Sl 1, p5, p2tog, p1, turn. 1 stitch decreased. Row 3: Sl 1, k6, ssk, k1, turn. 1 stitch decreased. Row 4: Sl 1, p7, p2tog, p1, turn. 1 stitch decreased. Continue working one more stitch each row until all stitches have been worked, ending on a WS row. 21 stitches remain. 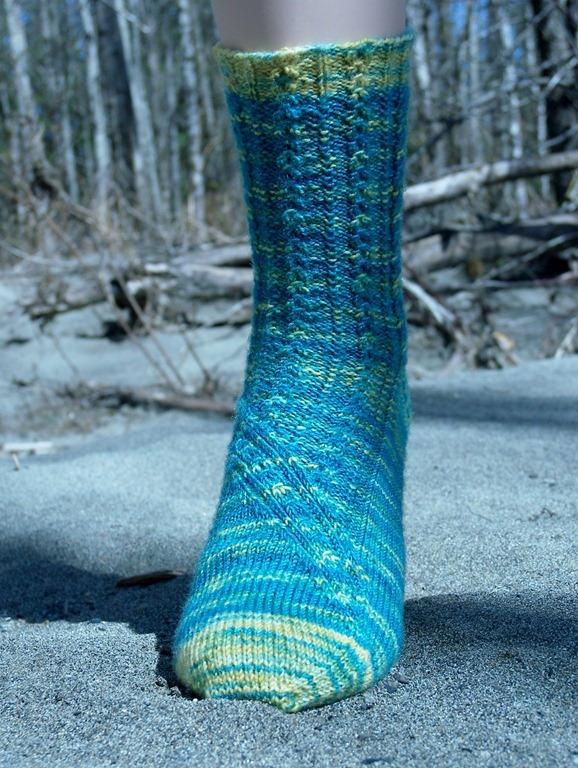 Set up for gusset: Sl 1, knit across heel stitches. 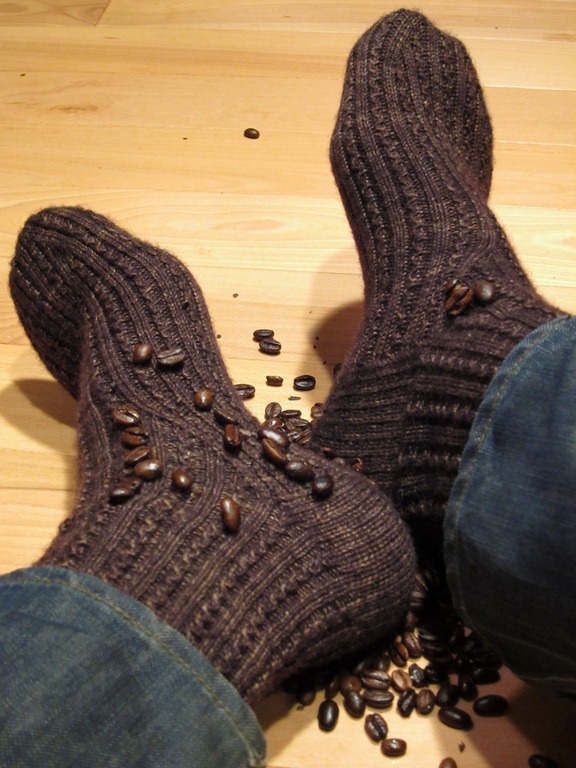 Using the same needle (Needle 1), pick up 1 stitch in each slipped stitch along the edge of the heel flap. 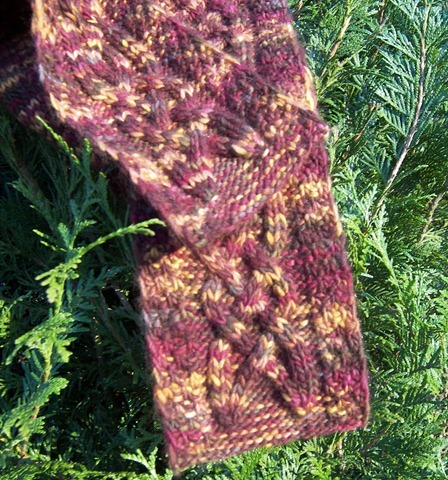 Return held stitches to two needles (Needles 2 and 3) and work across instep stitches in lace pattern as established. 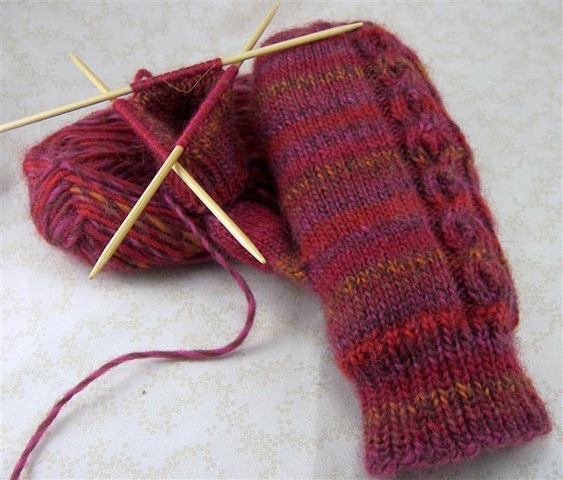 Using an empty needle (Needle 4), pick up 1 stitch in each slipped stitch along the other edge of the heel flap, knit 10 heel stitches from Needle 1 onto Needle 4. Mark this as the beginning of the round. Round 1: K2tog, knit to 3 stitches before the end of Needle 1, k2tog, k1, work across Needles 2 and 3 in lace pattern as established, k1, ssk, knit to the end of the round. 3 stitches decreased. Round 2: Knit to the end of Needle 1, Needles 2 and 3 in lace pattern as established, knit to the end of the round. Round 3: Knit to 3 stitches before the end of Needle 1, k2tog, k1, work across Needles 2 and 3 in lace pattern as established, k1, ssk, knit to the end of the round. 2 stitches decreased. Repeat Rounds 2 and 3 until 76 remain. 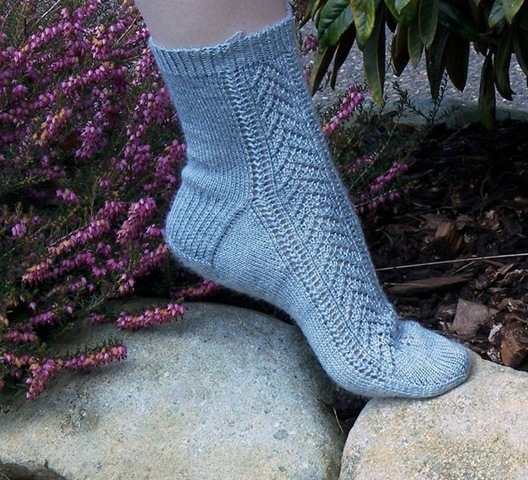 Knit to the end of Needle 1, work Needles 2 and 3 in lace pattern as established, knit to the end of the round until the sock measures 2” shorter than desired length, ending on Row 7 if possible. Round 1: Knit to 3 stitches before the end of Needle 1, k2tog, k1; k1, ssk, knit to 3 stitches before then end of Needle 3, k1, k2tog; k1, ssk, knit to the end of the round. 4 stitches decreased. Repeat Rounds 1 and 2 until 20 stitches remain. Knit to the end of Needle 1. 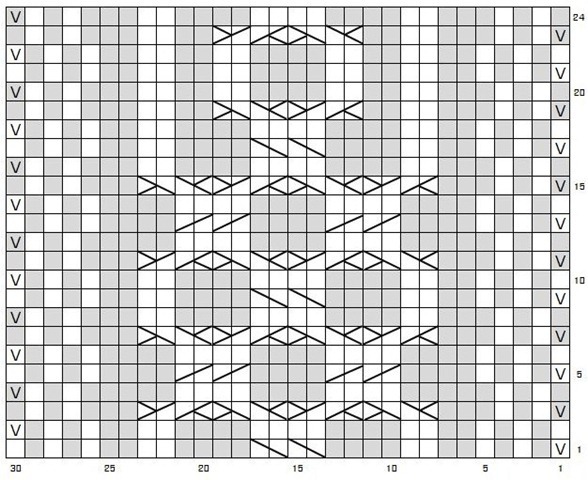 Move stitches from Needle 2 to Needle 3. Move stitches from Needle 4 to Needle 1. Cut yarn, leaving an 8” tail. Graft stitches on Needle 1 to Needle 2.